E2046 has released images from a few upcoming Gathering Pre-Painted Model Kits. 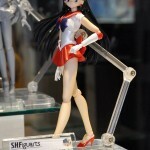 One is for the Sailor Moon character Sailor Mars, the other is for a Power Loader XL-11 from the video game series POWER DoLLS. 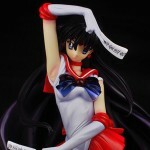 Read on to check out pics, pre-order info, price and more. 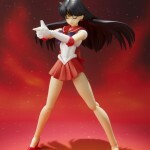 Tamashii Nations’s SH Figuarts Sailor Moon site has updated with new, official images of SH Figuarts Sailor Mars! 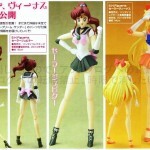 This figure is due out in December for 4,410 yen. 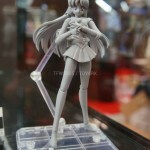 Read on to check out the new SH Figuarts figure of the fiery Sailor Scout! Mercury and Mars are due out later this year, the latter is still in the prototype stage while Mercury is scheduled for a fall release. Read on to check out the images!